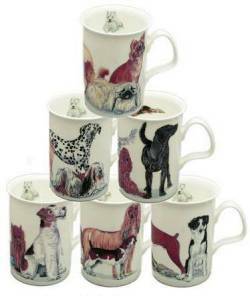 Set of six 10 ounce Lancaster shape bone china mugs by Roy Kirkham decorated with different breeds of dogs. Dishwasher and microwave oven safe. 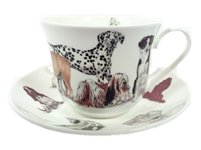 Set of six bone china mugs.